Why YOU should be excited! 1. It’s opening this year! The opening of Star Wars: Galaxy’s Edge has seemed like a galaxy far, far away for some time, but now we can finally say that Disney’s Star Wars expansion will be opening this year! That’s right, the wait is almost over, as Star Wars Land will be opening in the autumn. If you’re desperate to see it for yourself, you’ll be pleased to know that 2019 & 2020 Disney tickets are already on sale, so you can start planning your Florida holiday today. 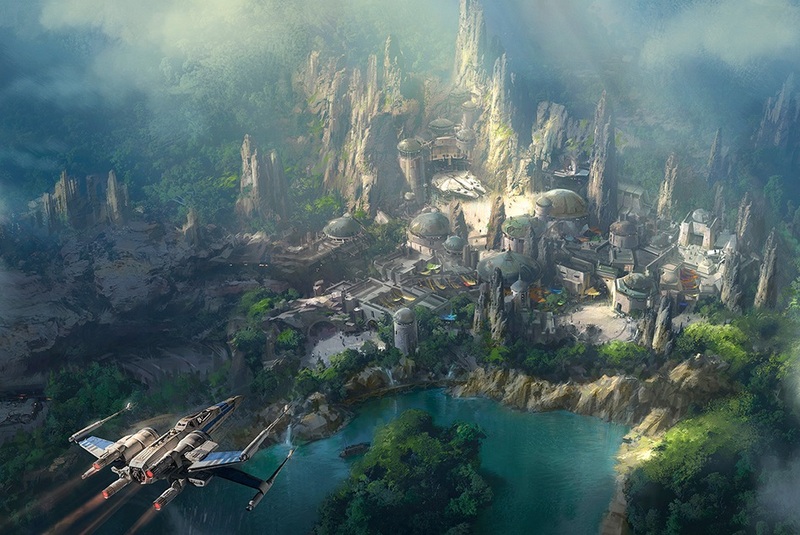 Walt Disney World is home to lots of unique lands like Toy Story Land and Pandora- The World of Avatar, but as incredible as these are, Star Wars: Galaxy’s Edge will be Disney’s largest ever single-themed expansion and we think that’s something to get seriously excited about! The galaxy will span over 14-acres, with lots of amazing surprises waiting to be discovered. Now, this really is the kind of stuff that dreams are made of! 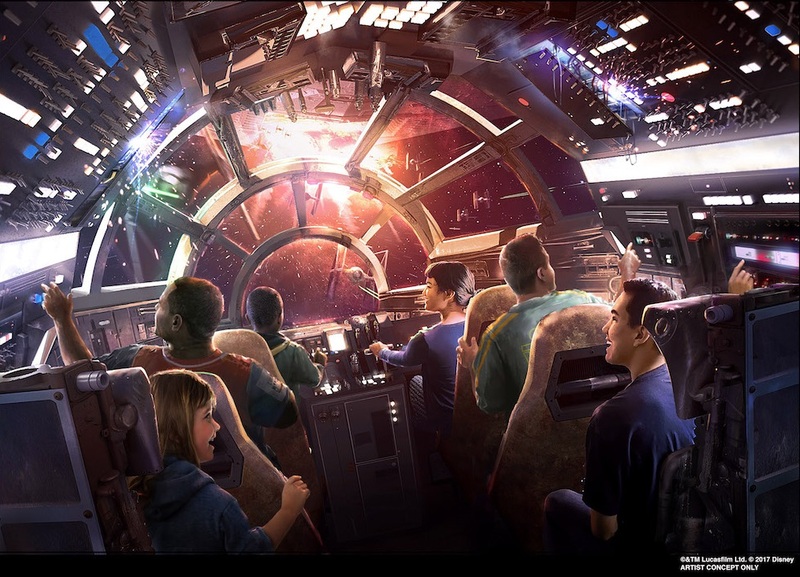 If you’ve ever watched Star Wars and wished you could fly on the Millennium Falcon, that dream can finally become a reality at Star Wars: Galaxy’s Edge. Millennium Falcon: Smugglers Run will be one of the main attractions at Star Wars Land. You’ll be able to climb aboard and actually take control as you pilot the iconic space craft through the galaxy! Star Wars: Galaxy’s Edge isn’t just about amazing rides and attractions. 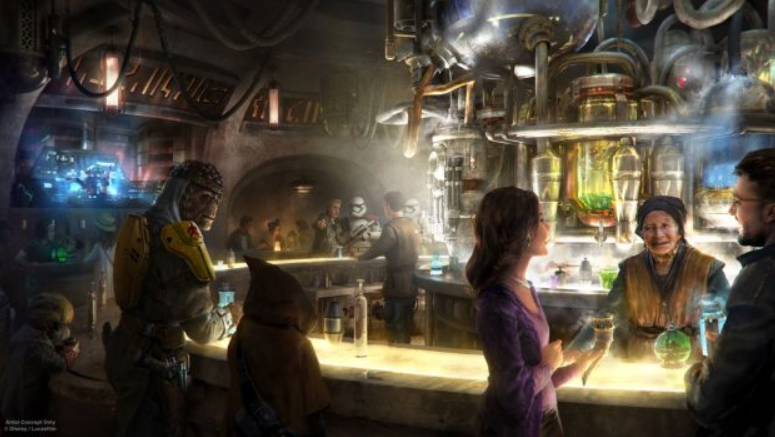 There will also be a restaurant called Oga’s Cantina, where you’ll find a unique menu full of Star Wars-inspired dishes. Make sure you visit on an empty stomach as there will be lots of food and drink to try. The full menu hasn’t been revealed just yet, but Disney have confirmed that guests will be able to try the famous Blue Milk. Would you give it a go? Star Wars fans might have heard about the Planet Batuu, but this is the first time guests will get the chance to see it up close. Star Wars: Galaxy’s Edge will be set on Batuu, which means fans will be able to explore an exciting new planet when Star Wars Land is finally unveiled. This incredible expansion is set to be fully immersive, which means that as soon as you step foot on Batuu, you’ll be right in the middle of the action. You won’t feel like you’re in Orlando anymore, as you’re transported to a galaxy far, far away. Want to be one of the first to visit Star Wars Land? Click here, to view our great value Walt Disney World Resort tickets.